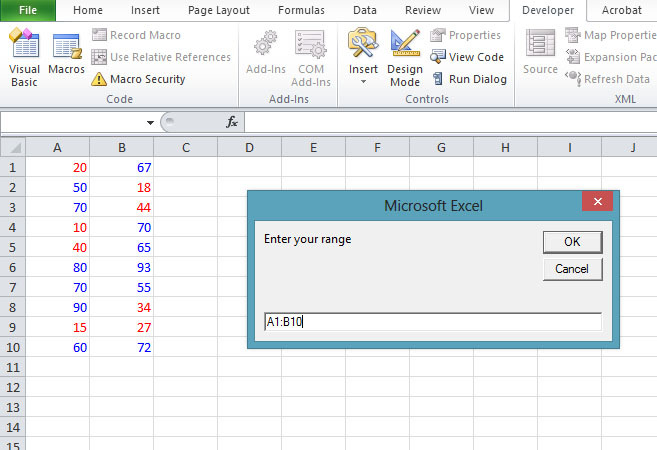 The range is one of the most important and most commonly used Excel 2010 VBA objects. In fact, we have dealt with the Range object in previous lessons. where select is a method of the Range object. 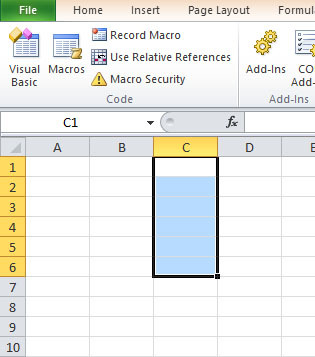 The columns property of the Range object is to select certain columns in the particular range specified by the Range object. 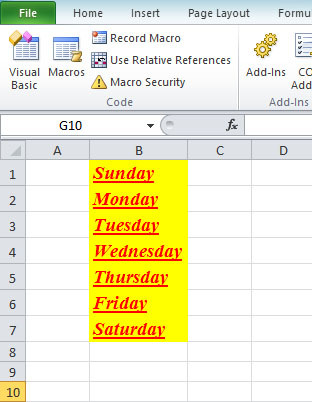 You can also format font the cells in a particular column in terms of type, color, bold, italic, underlined and size using the With Range…..End With Structure. It can also be used to format other Range properties like the background color. Using With Range….End With structure can save time and make the code cleaner. Basically, the syntax for the Rows property is similar to that of the Columns property, you just need to replace Columns with rows. 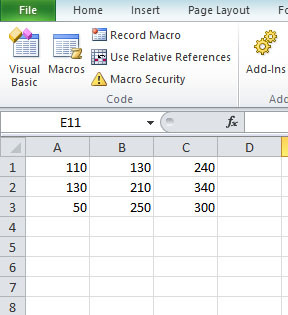 We can write Excel 2010 VBA code that can specify a certain range of cells using the Set keyword and then perform certain tasks according to a set of conditions. 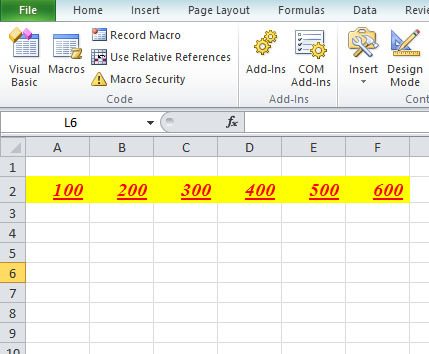 In Example 18.6, we shall write the ExcelVBA code such that it can accept range input from the user and then change the mark to blue if it is more than or equal to 50 and change it to red if the mark is less than 50. The InputBox function is used to accept value from the users. rng and cell are declared as a Range variable using the Dim statement while selectedRng is declared as a string that receives input from the user. Once the input is obtained from the user, it is stored using the Set method and the Range function. For Each cell In rng ……Net cell is a loop that can iterate through the selected range, one cell at a time. The If…Then…Else statements are to specify the color of the font according to the range of values determined by the conditions. You can use the Formula property of the Range object to write your own customized formula. 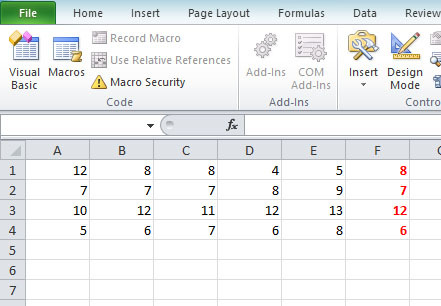 In this example, the program computes the average of the corresponding values in column A and column B and displays the results in column C. For example, the mean of values in cell A1 and Cell B1 is computed and displayed in Cell C1. 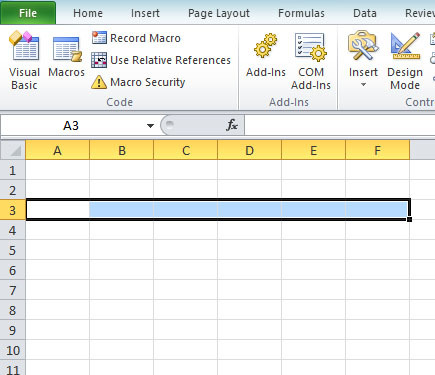 Subsequent means are automatically copied down Column C until cell C3. In this example, the program computes the mode for every row in the range A1:E4 and displays them in column F. It also makes the font bold and red in color, as shown in Figure 15.6.